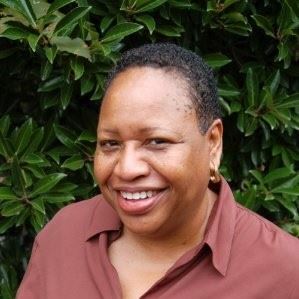 Frances retired at the end of 2016 after leading the Town of Chapel Hill HRD Department for more than 6 years. Frances's work made a substantial impact on the human resource functions for the Town. Frances’s career in human resources spans more than 25 years. She started as an entry level human resources trainee in California where she quickly developed a love for and interest in human resources. Through extensive additional training and high quality performance, she gained positions of increasing responsibility, which prepared her well for the challenge she encountered when she came to the Town of Chapel Hill in February 2008. Frances was hired as the assistant director of human resources during a turbulent period of transition. The town’s long serving town manager had recently retired, and the town’s third HR director in 10 years left shortly thereafter. The HR director who had been hired in 2007 left in 2010. The town manager appointed Frances as interim director, and she went to work. Frances’s approach to leading the department was a model of “servant leadership” and “coming alongside” to help a good, but struggling team. It was just what the town and the HR staff needed. She provided calm, stable leadership that helped solidify her reputation as a reliable and steady leader. Frances set about to build a strong team to support the various departments. HR had experienced a high rate of turnover prior to her arrival and had experienced a prolonged period of vacant positions. She hired good people and put them to work. The amount of positive change in the town that has occurred under her direction would be a credit to a seasoned team; for a new team where currently half have less than 3 years’ service with the town, it is a tremendous accomplishment. Frances shed the “interim” title and became the HR director in 2011. Here are a few ways in which Frances exhibited leadership and service during her tenure at the town. Some of her impacts on the HR functions of the town are quite visible; others are hidden; all are important. Area of HR improved; employee evaluations and performance management, classification and compensation, role of HRD, drug and alcohol testing, employee wellness, employee health insurance, retiree insurance costs, HR policy review and updates, training, employee relations, training and mentoring new HR employees, HR during a recession, and recruitment and selection. Frances used her time well to make a lasting and significant contribution to human resources at the Town of Chapel Hill. 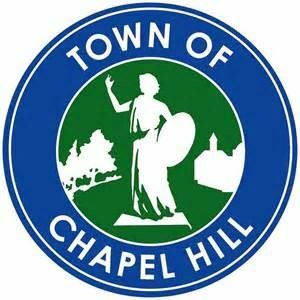 The Town of Chapel Hill Seizes an Opportunity to Improve Workplace Communication and Employee Relations. In 2010 the Town found itself in a highly charged and public “wrongful termination” situation. Though the Town was exonerated, the extensive local media coverage affected the morale of many Town employees and the Town’s public image. Instead of trying to quickly “move on” from this situation, the Town took this opportunity to solicit input from its employees and the community about their perceptions of workplace culture, management, and the process used to address problems in the workplace. The Town, somewhat unsure of where this community conversation might go, nonetheless embarked on an extensive series of listening sessions. It was surprisingly well received. The process energized employees and community members. Participation was high and included key community influencers, including members of the NAACP’s local chapter and Justice United, a local advocacy group. These groups had been involved in the wrongful termination case. the need for a better way to prevent and resolve workplace disputes. The Town, through its Human Resource Development (HRD) department, systematically began to address these areas. As a result of this public conversation, in 2011, a committee comprised of employees at all levels and the Senior Leadership Team collaborated to develop a statement of Town Values. These values direct work interactions based on desired workplace culture. These values-- Responsibility, Equity, Safety, Professionalism, Ethics, Communication, and Teamwork, (RESPECT) provide the framework we are using to build systems, including our dispute resolution system, that support a workplace “community where people thrive.” These values were also incorporated into the performance evaluation process. The Town discovered during the listening sessions that almost everyone felt that the process the Town used to resolve workplace issues--the grievance process-- was laborious, time consuming, and did not offer employees a fair chance. The grievance process was part of the Town Personnel Ordinance. Changing this Ordinance would require the input and approval of the Town Council. The Ordinance had not been revised since 1977. As a result, in 2013, the Town began to create a new dispute resolution system, designed by employees and approved by the Town Council on June 8, 2015. Prior to this change, the only formal Town process available for resolving any workplace dispute was a four-step grievance system. It relied on upper level management to adjudicate all workplace disputes. This process did not empower employees to resolve their own problems or provide them with adequate tools and resources. It relied on hierarchical decision making that employees felt did not honor the Town’s RESPECT values. The grievance process accentuated power imbalances within the organization and left non-management employees out of the decision process. This situation created distrust. The grievance process took too long (on average ~90 days), rarely changed anything, and damaged working relationships. Employees still wanted a grievance process to handle more serious workplace issues, such as when someone is fired. Employees wanted a system that would minimize power imbalances and respect their ideas about how workplace disputes should be handled. All expressed a need for better supervisory, conflict management, and communication skills among employees and supervisors alike. Employees were clear and firm that a lack of training and skills development opportunities created and contributed to workplace conflicts. Additionally, management identified the need for improving the skills of supervisors and managers in the areas of employee counseling and documenting. ONGOING, STRUCTURED PERFORMANCE FEEDBACK: The Town developed and implemented a customized Employee Performance Management and Development System (EPMDS) used throughout the Town. This system helps employees and managers effectively communicate performance expectations, career progression options, and how to demonstrate RESPECT values in the workplace. GETTING CLARITY ON THE PROBLEM: The Town implemented an Ombuds program that provides confidential access to professional, on-staff, Ombuds who help employees gain clarity on issues without accessing formal channels. Chapel Hill is one of only a few municipalities nationally with this kind of program. The Ombuds office provides Managers and HRD with information that helps identify trends and/or topics of concern. INDIVIDUAL HELP WITH PERFORMANCE IMPROVEMENT: HRD offers individualized, one-to-one coaching for performance improvement. ENHANCED HRD SUPPORT: HRD is organized in a partner model where HRD partners gain deep knowledge of specific department needs and provide comprehensive human resource services. PROFESSIONAL AND INDEPENDENT MEDIATION SERVICES: The new dispute resolution system includes access to confidential, professional mediation services provided by independent, experienced mediators for conflicts that cannot be resolved using other resources. MANAGEMENT HELP IF NEEDED: The Town offers a “Last Chance” Management Review to handle disputes that cannot be resolved by any other means, so that disputes do not continue to adversely impact the workplace. Determinations made through this option are final and cannot be grieved. GRIEVANCE PROCESS PRESERVED FOR SEVERE DISCIPLINARY ACTIONS: The Town preserved a two-step grievance process, including a Council-appointed Citizens Grievance Hearing Board, to review severe disciplinary actions---demotions, suspensions, or terminations. This process assures that the Town follows fair and proper procedures so that employees have had a fair chance to be heard. HRD staff conducted mandatory, in person training for all 700+ employees before implementing the program. A particular help to the program’s early success has been the inclusion of key community influencers from the NAACP and Justice United throughout the process. They also participated in Town training sessions so they could better understand the changes and advise employees within their spheres of influence. This collaboration has improved employee and public confidence in the Town’s dispute resolution processes. The Town has benefited from the input of these thoughtful and experienced community members. The mediation program has been the official formal conflict resolution process for the Town since September 1, 2015. The Town has already seen a significant decrease in the number of workplace disputes and in the amount of management time spent adjudicating disputes. Employees are accessing resources and training and taking more initiative to resolve their own problems. The program has enhanced HRD’s reputation as a trusted partner and advisor. Supervisors and employees communicate more frequently and effectively using a common language based on RESPECT values and standardized resources such as the EPMDS. Employees seek out help earlier when problems arise. To provide employees with skills and resources to help them better handle workplace conflict and personal stress with the goal of preventing serious workplace disputes. The Town’s goal is to resolve most workplace disputes within 30 days of an employee’s request for assistance, and for most of those resolutions to occur with a mediated agreement, rather than the Management Review option. This and other information will be reported to employees, the Council, and the community on at least an annual basis. Because of the success of our outreach that started in 2010, our Town now has a dispute resolution model that our employees helped design. It achieved far more than just reducing the amount of time the process takes. Developing this program also resulted in developing a shared workplace culture, common language and values, supportive resources, and a sense of personal responsibility. While some may characterize the approach we used as labor intensive, time consuming, and somewhat risky,the Town now considers it a collaborative model that creates group ownership, support, and success. Should the Town win this Recognition award, it will truly be an award that belongs to all the employees of the Town and our key community partners. They are the ones who envisioned this new paradigm. The HRD team simply remained open and willing to support this change and did the footwork to make it happen.